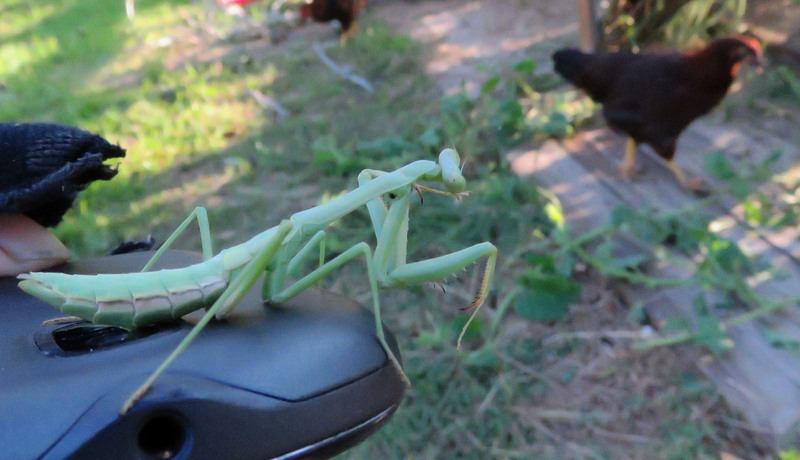 Quite often while we are out doing yard work, my husband will stop what he is doing and bring me a bug. 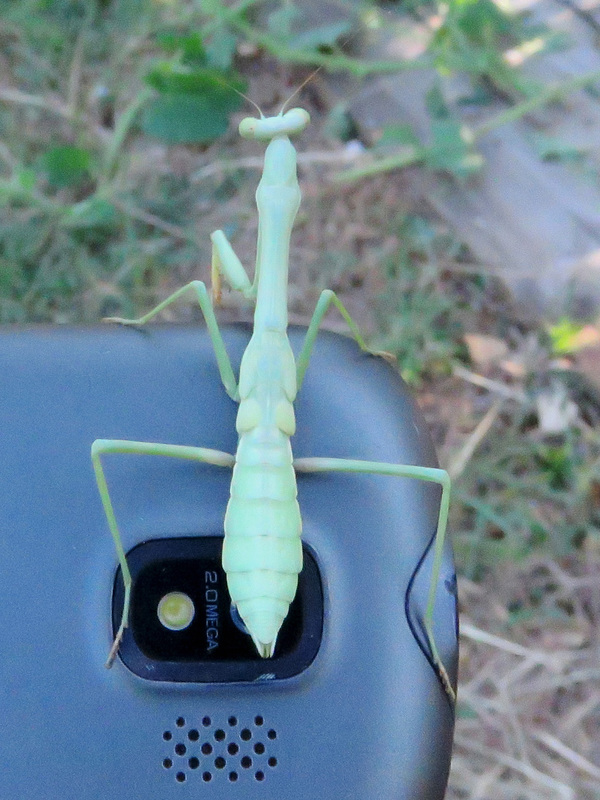 I almost always have my camera with me and I stop for a little photo session. 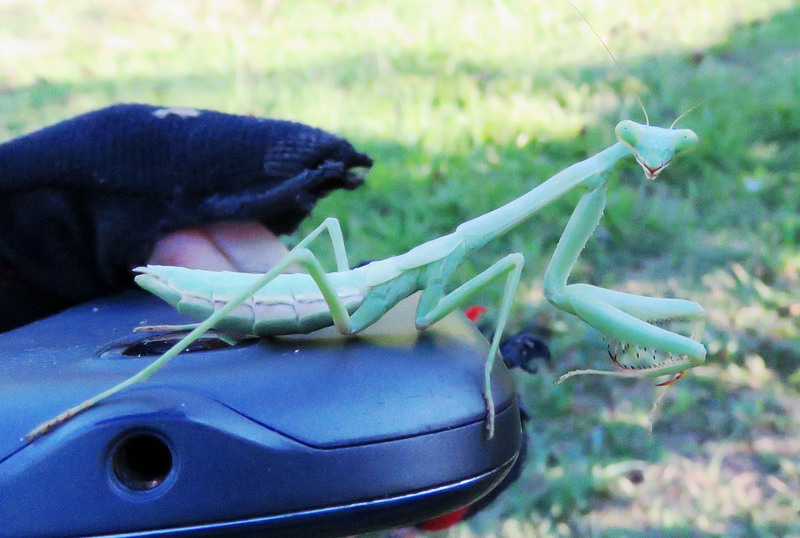 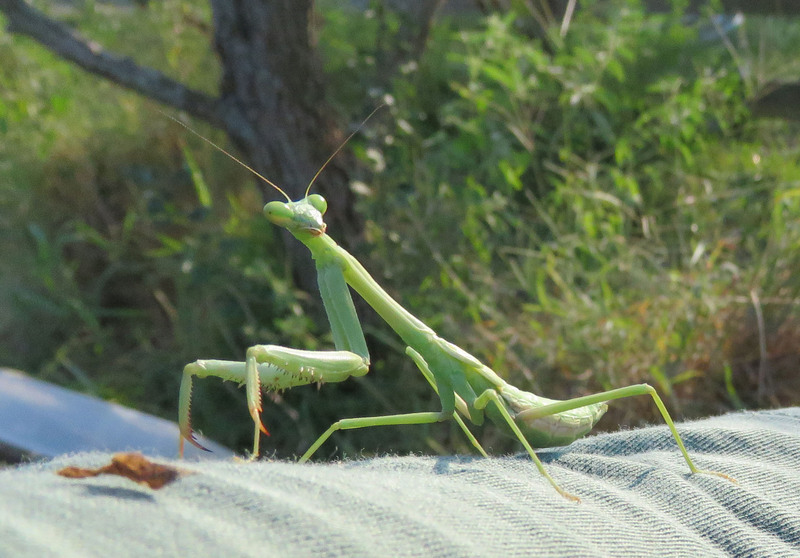 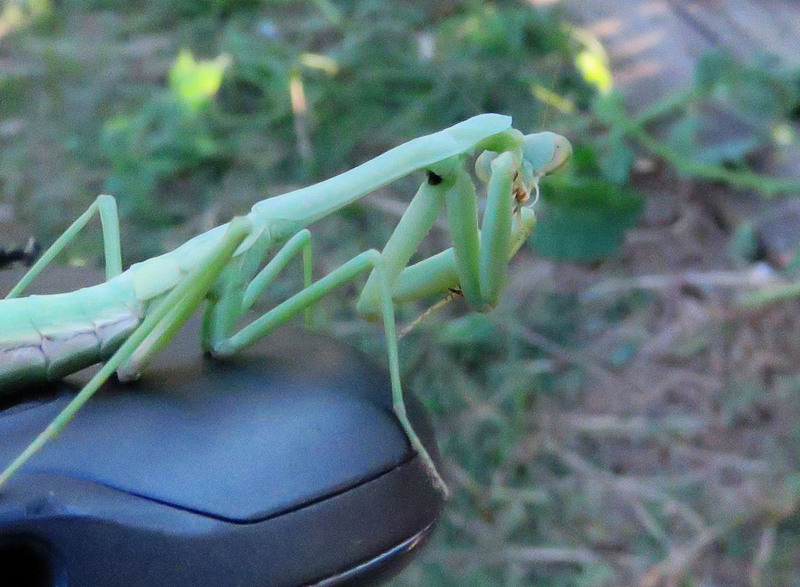 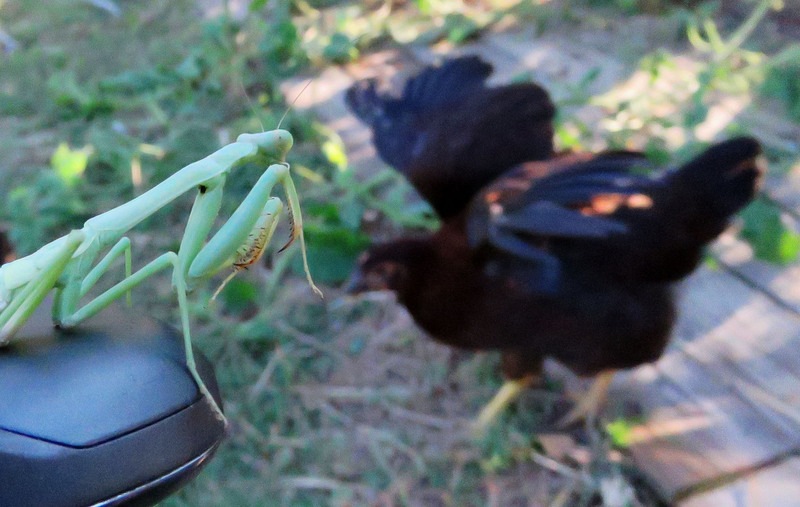 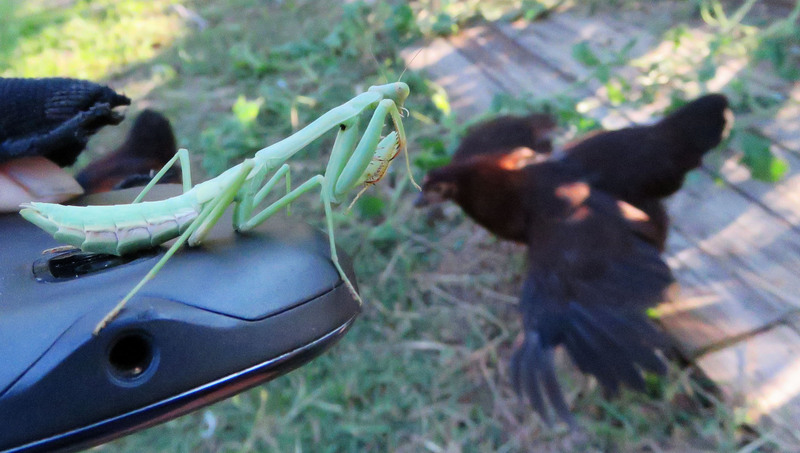 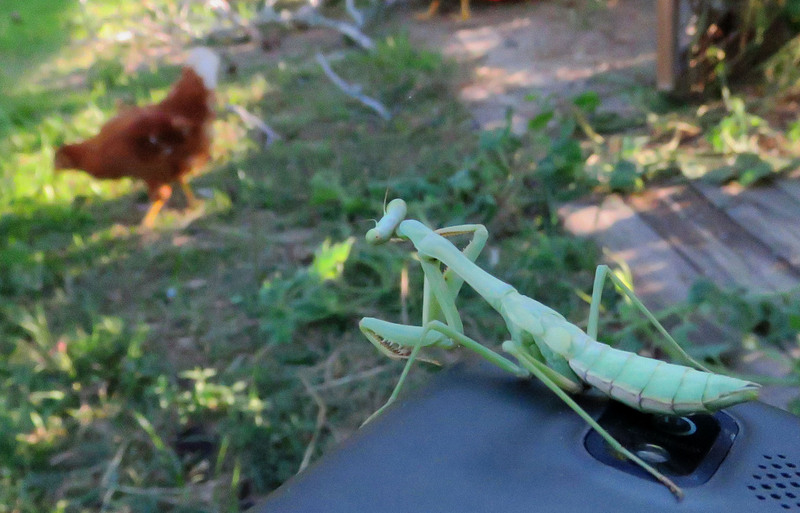 Yesterday it was this praying mantis, that I believe is a young Chinese mantis (Tenodera sinensis).